The original equipment manufacturer (OEM) first launched battery-operated machinery in 2016. 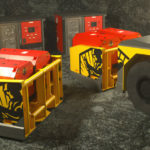 Its first generation battery equipment is being used in a number of mining regions, including Sweden, Brazil and Peru. Epiroc, at an event in Sweden, revealed 14 and 18-tonne loaders, a 42-tonne truck and a mid-sized drilling family, including face drilling, production drilling and rock reinforcement rigs. 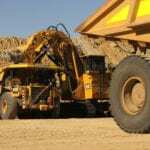 The latest battery-driven underground loaders, trucks and drill rigs will, according to the company, create a number of benefits for mining companies, including health and safety, reduced greenhouse gas emissions and lower operating costs. 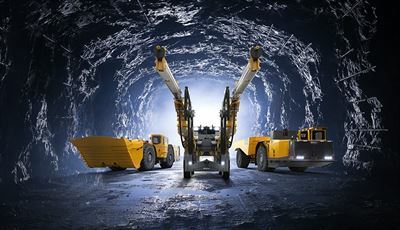 Epiroc president and chief executive officer Per Lindberg said the OEM would help boost productivity, enhance safety and cut emissions, all while lowering the total cost of operation. “Our second generation battery vehicles takes us towards a sustainable future with less dependency on fossil fuels,” Lindberg said. Epiroc also highlighted the industry shift towards battery-powered machinery at the launch event in Sweden. 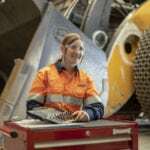 The OEM aims to lead the charge towards sustainability in mining through battery electric, zero-emission equipment. 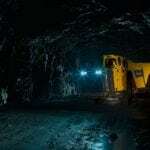 Epiroc Underground Rock Excavation division R&D vice president Anders Hedqvist said the mine of the future was carbon dioxide free, digitised and autonomous. “This requires new control systems, improved equipment as well as efficient management systems that meet future demands for a sustainable industry,” Hedqvist said. Epiroc is partnering with Northvolt and ABB to develop the second-generation electric technology platform, which will be designed the safety, performance and reliability requirements of the mining industry.